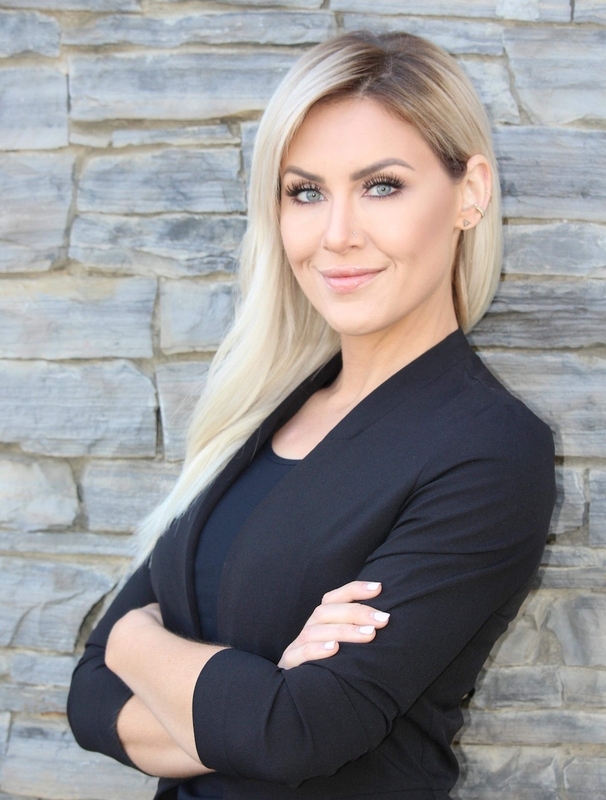 The key to beautiful skin is your skin care professional who can customize your AlumierMD experience. No more guess workenjoy a professional treatment that is catered to your specific skin needs and see real results. 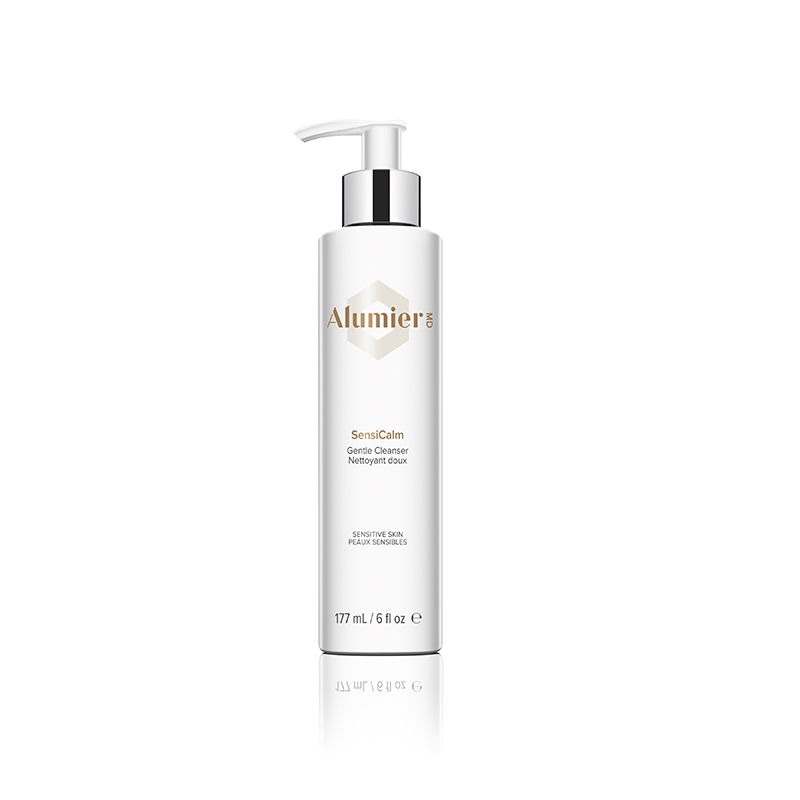 Please note that you will need a code from our Medi Spa to order AlumierMD Products, feel free to give us a call at 403.487.0460 to learn more. 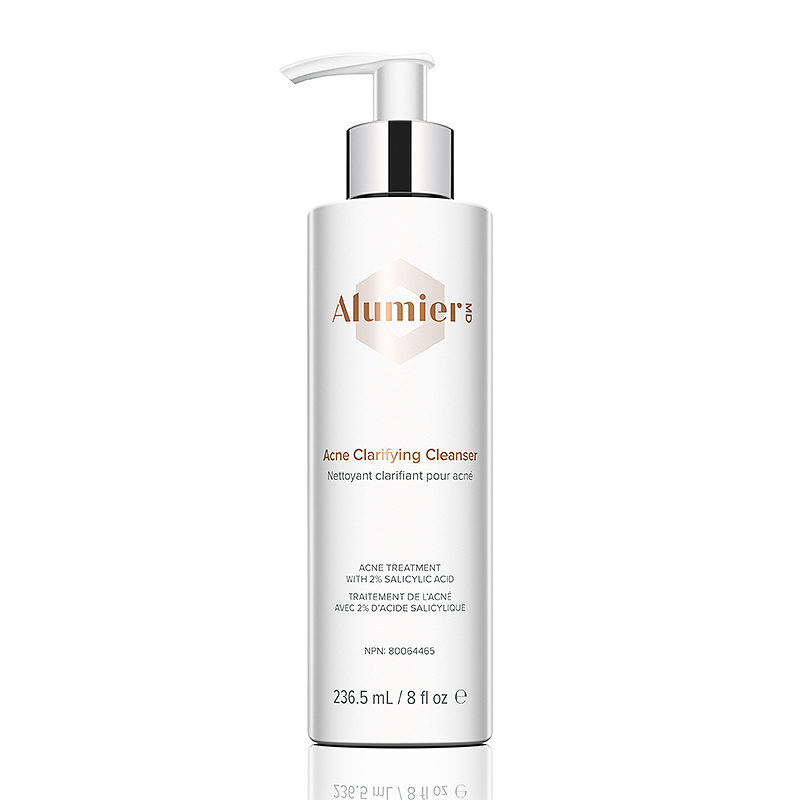 Acne Clarifying Cleanser deep-cleans pores and calms skin for a clearer complexion. 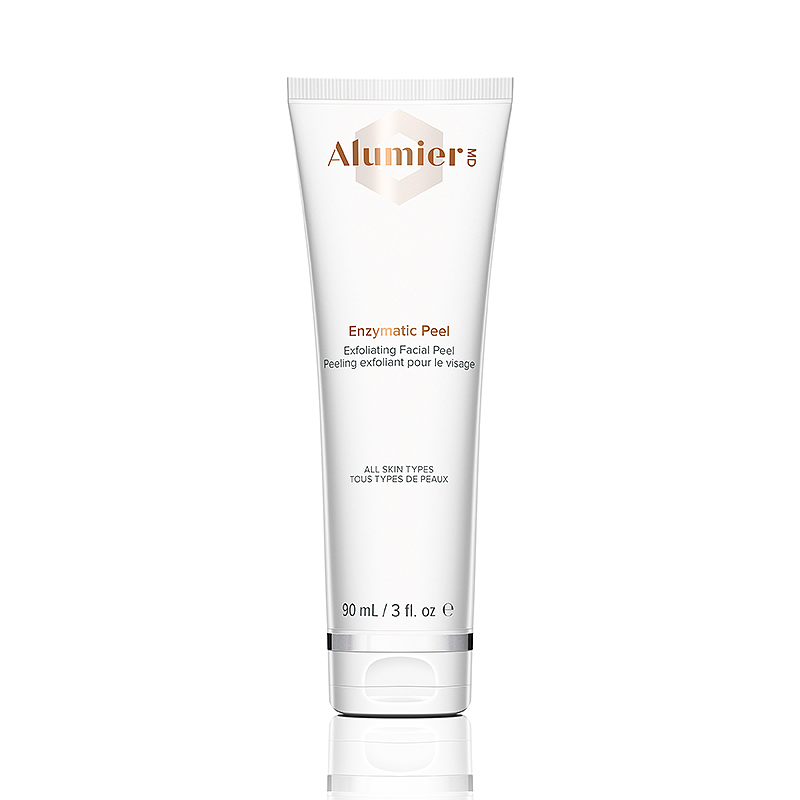 Salicylic acid exfoliates and clears pores while oligopeptide-10 reduces acne bacteria (P. acnes). 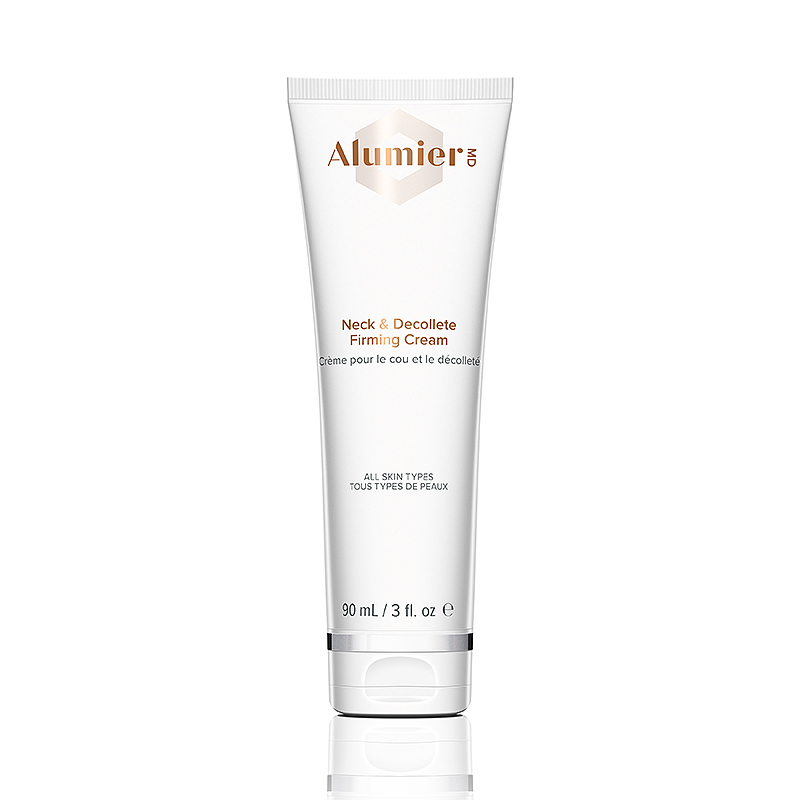 Honey, niacinamide (vitamin B3) and rice bran extract soothe and hydrate skin, leaving it fresh, supple and comfortable. A refreshing skin conditioning toner that refines skin complexion. Lactic acid, Lime Pearl™ and soy amino acids gently exfoliate dead skin cells to brighten the skin and reduce the appearance of fine lines and wrinkles. Superox-C™, which is high in vitamin C, provides antioxidant protection from free radical damage. Arnica and bisabolol calm and soothe the skin so while you may not be feeling anything, your skin definitely does! Lotus Scrub uses lotus seed powder and microcrystalline cellulose, unique natural biodegradable exfoliating agents that are smooth and spherical. These agents create even and gentle exfoliation to remove impurities and reveal healthy, more radiant skin. This innovative technology was developed because non-spherical exfoliating agents can irritate or injure the skin. Lotus seed powder also has natural moisturizing and calming properties to help you achieve a healthy glow. 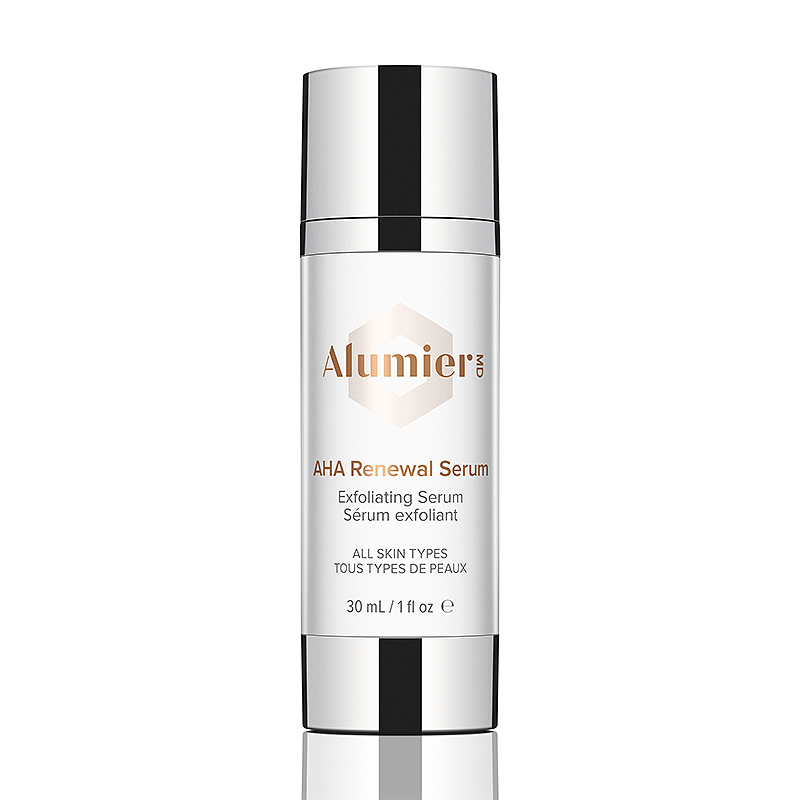 AHA Renewal Serum is a clarifying formula with a mixture of exfoliators and hydrators to reduce the visible signs of aging and promote brighter, firmer and more radiant skin. Lactic acid (8%) and gluconolactone remove dead skin layers, speed cell turnover, reduce the appearance of hyperpigmentation and smooth fine lines and wrinkles. Allantoin, sodium hyaluronate and vitamin B5 hydrate, while green tea and arnica soothe the skin. A microencapsulated 0.25% retinol treatment that improves skin tone and texture and corrects the signs of aging. Recommended for all skin types. 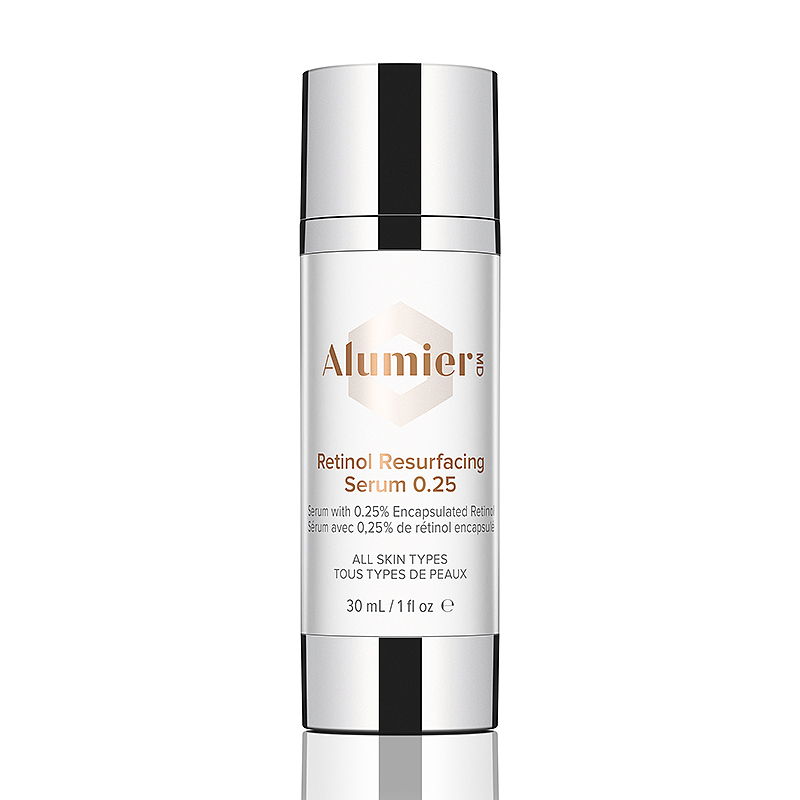 Retinol Resurfacing Serum 0.25 is a pure microencapsulated retinol serum that helps you achieve a more radiant and even complexion. It reduces the appearance of fine lines and wrinkles and improves texture and tone by stimulating collagen production and speeding cell turnover. This formula also targets acne-prone skin, minimizes pore size appearance and evens skin tone. Unlike many other retinols, our retinol is microencapsulated using cutting-edge technology to allow for a gradual timed release into the skin overnight. By encapsulating the retinol and adding soothing and hydrating ingredients like niacinamide (vitamin B3), tea extracts, honey and sodium hyaluronate, maximal results can be achieved with minimal irritation. Retinol Resurfacing Serum 0.5 is a pure potent microencapsulated retinol serum that helps you achieve a more radiant and even complexion. It reduces the appearance of fine lines and wrinkles and improves texture and tone by stimulating collagen production and speeding cell turnover. This formula also targets acne-prone skin, minimizes pore size appearance and evens skin tone. Unlike many other retinols, our retinol is microencapsulated using cutting-edge technology to allow for a gradual timed release into the skin overnight. By encapsulating the retinol and adding soothing and hydrating ingredients like aloe, tea extracts, honey and niacinamide (vitamin B3), maximal results can be achieved with minimal irritation..
MATRIXYL™ Synthe’6™ is used under authorization of Sederma Inc.
Retinol Resurfacing Serum 1.0 is a pure potent microencapsulated retinol serum that helps you achieve a more radiant and even complexion. It reduces the appearance of fine lines and wrinkles and improves texture and tone by stimulating collagen production and speeding cell turnover. This formula also targets acne-prone skin, minimizes pore size appearance and evens skin tone. Unlike many other retinols, our retinol is microencapsulated using cutting-edge technology to allow for a gradual timed release into the skin overnight. By encapsulating the retinol and adding soothing and hydrating ingredients like niacinamide (vitamin B3), tea extracts, honey and sodium hyaluronate, maximal results can be achieved in comfort. Alumience A.G.E. is an exclusive formulation that reduces the visible signs of aging caused by free radicals, pollution and advanced glycation end products (A.G.E.s). 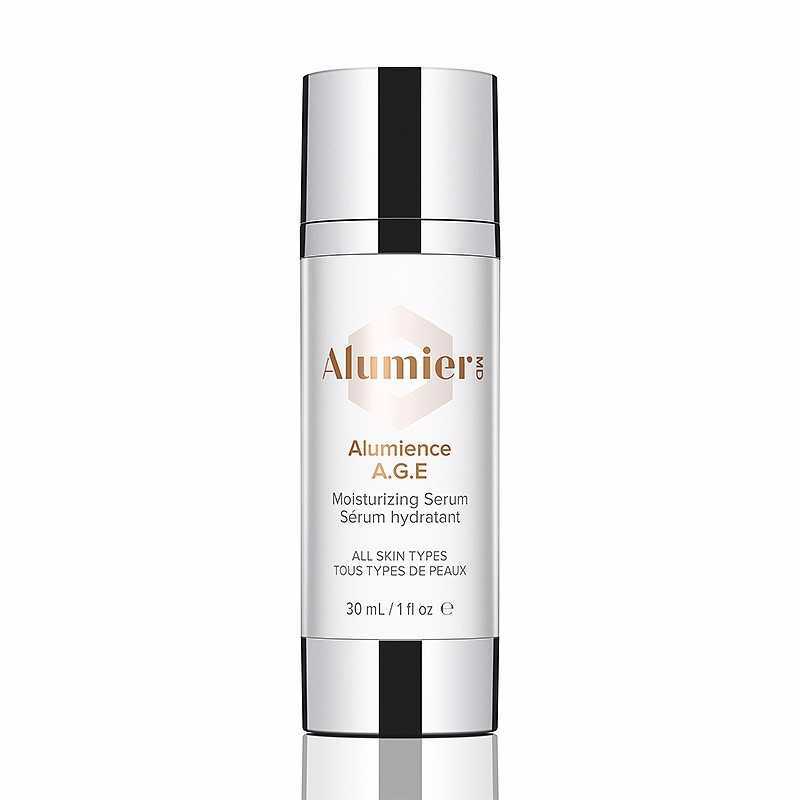 Using a unique blend of antioxidants, specialized peptides, antiglycation ingredients and a biomimetic pollution shield, Alumience A.G.E. provides the ultimate in daily protection from pollution and UV skin damage. Reduces the visible signs of aging caused by free radicals, pollution and advanced glycation end products (A.G.E.s). 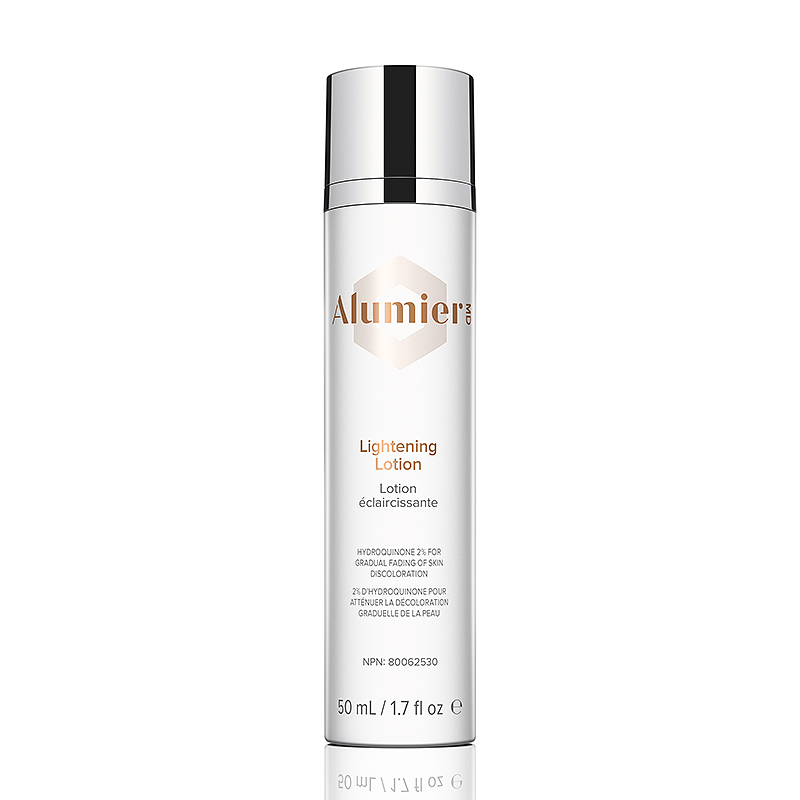 A lightweight lotion with hydroquinone and licorice root extract to brighten the complexion and reduce the appearance of hyperpigmentation including brown spots, discoloration and uneven skin tone. Brightens the complexion and reduces the appearance of hyperpigmentation. Hydroquinone, phoenix oyster mushroom and licorice lighten discoloration and even skin tone. EvenTone Brightening Serum is a lightweight serum that contains naturally powerful pigment inhibitors to brighten the complexion and reduce hyperpigmentation. Emblica™, oyster phoenix mushroom, licorice and whitening peptides brighten and even skin tone. They reduce hyperpigmentation by blocking enzymes involved in pigment (melanin) production, and breaking down existing pigment. Hydroquinone free. 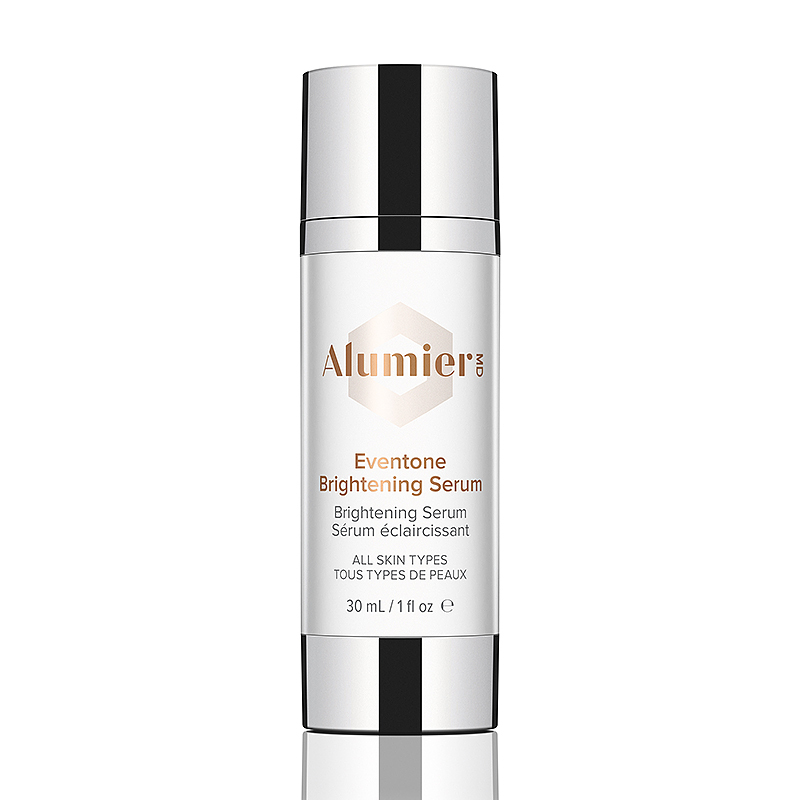 To boost results, try EvenTone Brightening Serum with either AlumierMD’s AHA Renewal Serum or one of AlumierMD’s Retinol Resurfacing Serums to enhance exfoliation of existing dark spots. May also be used with Lightening Lotion for more resistant hyperpigmentation. 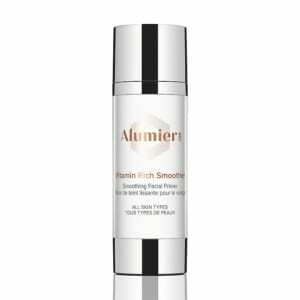 Vitamin Rich Smoother is formulated with antioxidants vitamin C (USP grade L-ascorbic acid) and vitamin E (USP grade tocopherol) to brighten and revitalize the look of the skin. Vitamin C (15%) and vitamin E work together to firm skin and improve texture and tone. 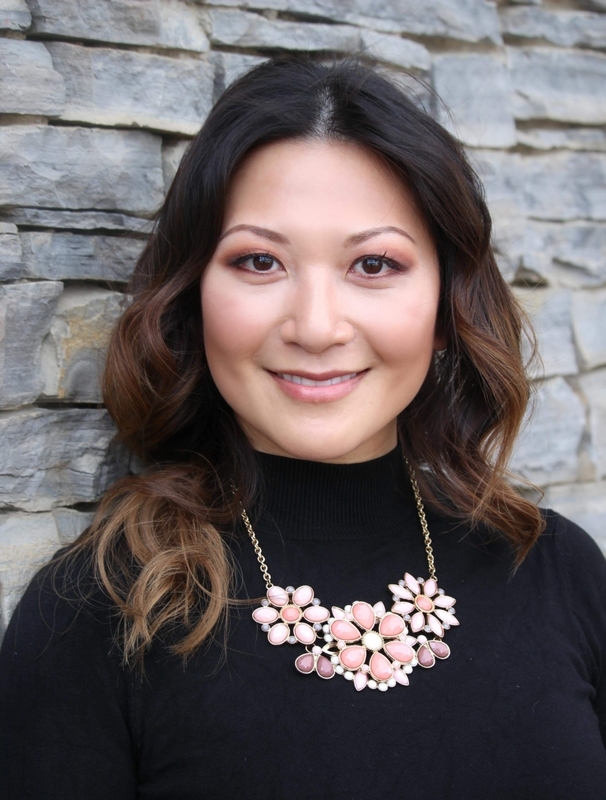 This formulation is the perfect base for makeup. It’s silky consistency evens out skin texture, minimizes the appearance fine lines and wrinkles, and leaves skin looking and feeling smooth. Intellibright Complex is a lightweight serum that contains naturally powerful skin brightening agents that work by different mechanisms to enhance results and resistance to new pigment formation. Arbutin, kojic acid, licorice and niacinamide (vitamin B3) brighten skin, even skin tone and reduce the appearance of hyperpigmentation. Hydroquinone free. 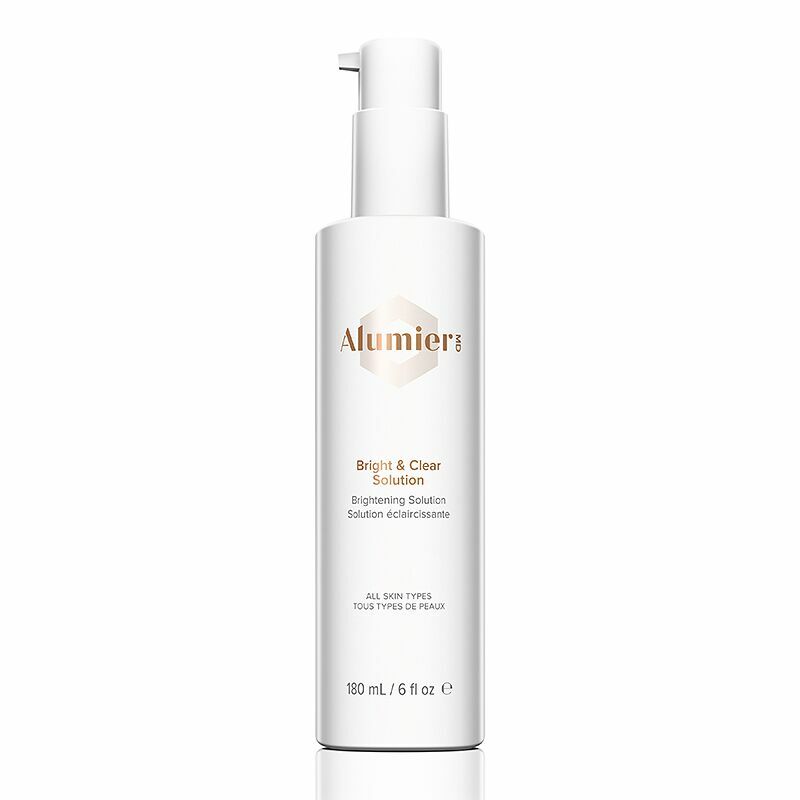 To boost results, try Intellibright Complex with either AlumierMD’s AHA Renewal Serum or one of AlumierMD’s Retinol Resurfacing Serums, which enhance exfoliation of existing dark spots. 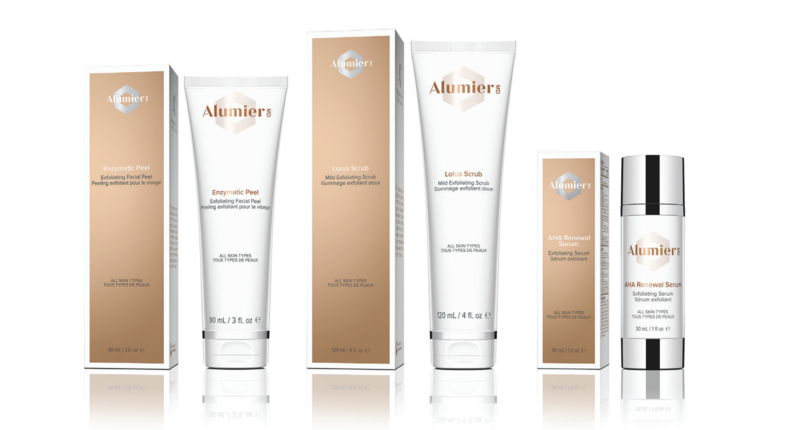 For the best results, use Intellibright Complex as part of AlumierMD’s Pigment Solution Series. May also be used with Lightening Lotion for more resistant hyperpigmentation. Contains naturally powerful pigment inhibitors. Arbutin, kojic acid, licorice, vitamin B3 and azelaic acid brighten and even skin tone. Alcohol-free, fragrance-free, sulfate-free, paraben-free, mineral oil-free, dye-free. 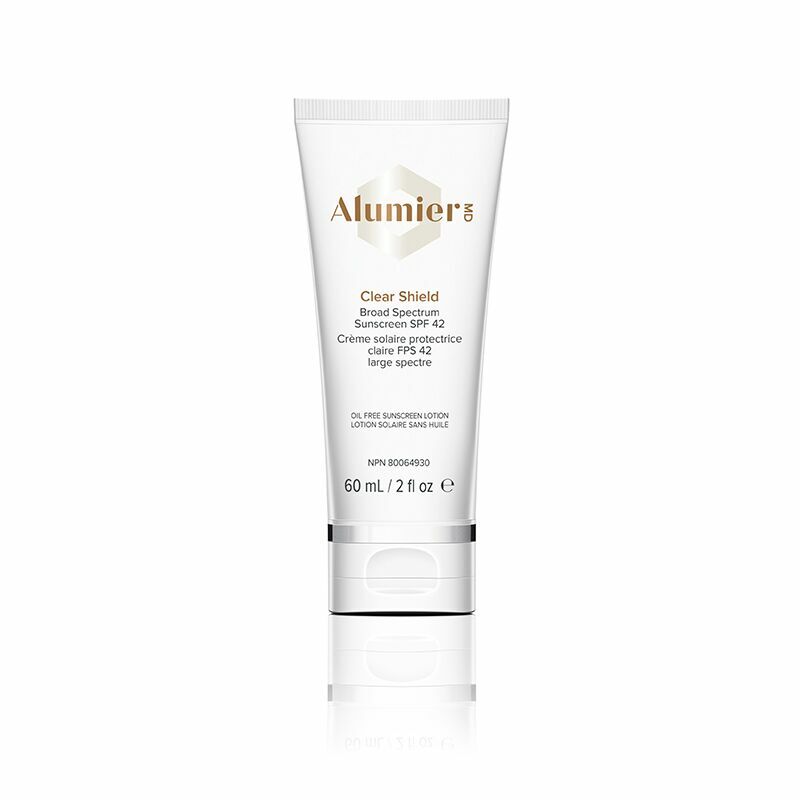 Spot Clearing Treatment is an innovative fast-acting acne blemish formulation with benzoyl peroxide to reduce acne-causing bacteria and heal pimples quickly. Naturally complimented with hinokitiol, tea tree oil and resveratrol to relieve redness and irritation. Matticlear is a lightweight oil-absorbing serum that helps reduce shine and refine skin texture, resulting in a smooth, matte finish. Linseed extract, java tea, Canadian Willowherb™ and tripeptide-1 simultaneously inhibit sebum production, while an innovative microparticle complex absorbs excess oil to create an immediate mattifying effect. Nigella and pumpkin seed oils soothe, moisturize and prevent dryness. Canadian Willowherb™ is used under license from Lucas Meyer Cosmetics Canada Inc.
Acne Balancing Serum is an advanced, lightweight acne serum that penetrates pores to reduce acne, allow skin to heal and prevent new pimples. This formula contains anti-inflammatory, antibacterial, antioxidant and hydrating ingredients to target pimples and redness. An innovative encapsulated salicylic acid (2%) exfoliates and cleans pores, while a superpower trio of hinokitiol, oligopeptide-10 and resveratrol decreases P. acnes bacteria and inflammation. Resveratrol, hinokitiol and tea extracts also provide antioxidant protection against free radical damage from the sun, pollution and inflammation. Honey, aloe and rice bran extract have soothing and moisturizing properties. 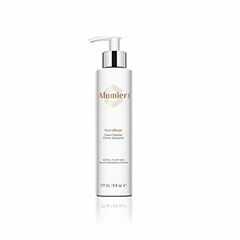 Niacinamide and sodium hyaluronate work together to maintain skin’s natural hydrolipid barrier. 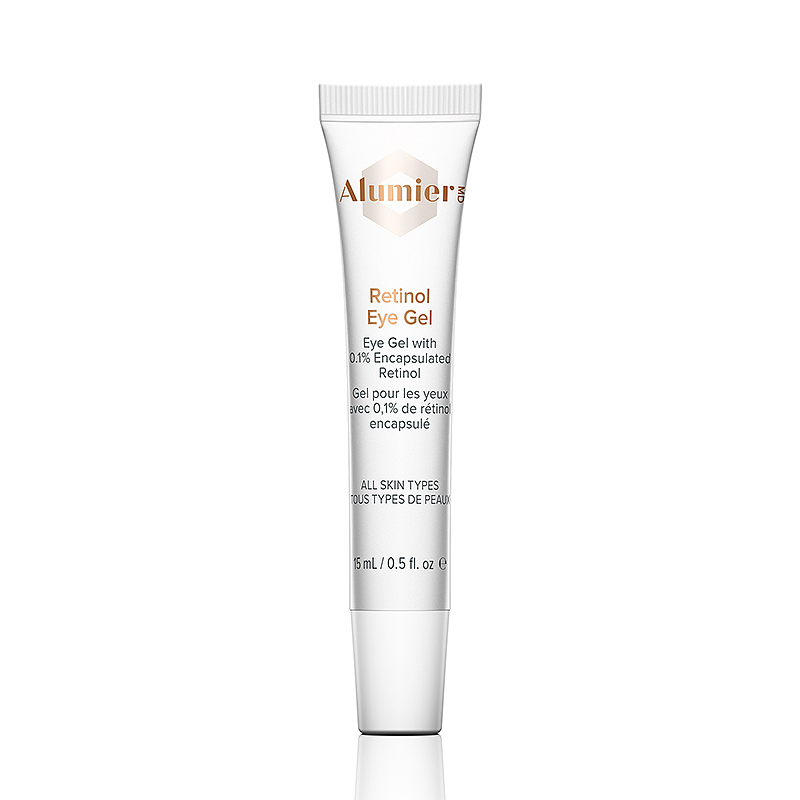 Retinol Eye Gel is a vitamin-packed, pure and cutting-edge microencapsulated retinol gel formulated especially for the delicate eye area. It contains gentle, timed-release encapsulated retinol that allows for a slow release into the skin overnight, minimizing irritation and maximizing effectiveness. 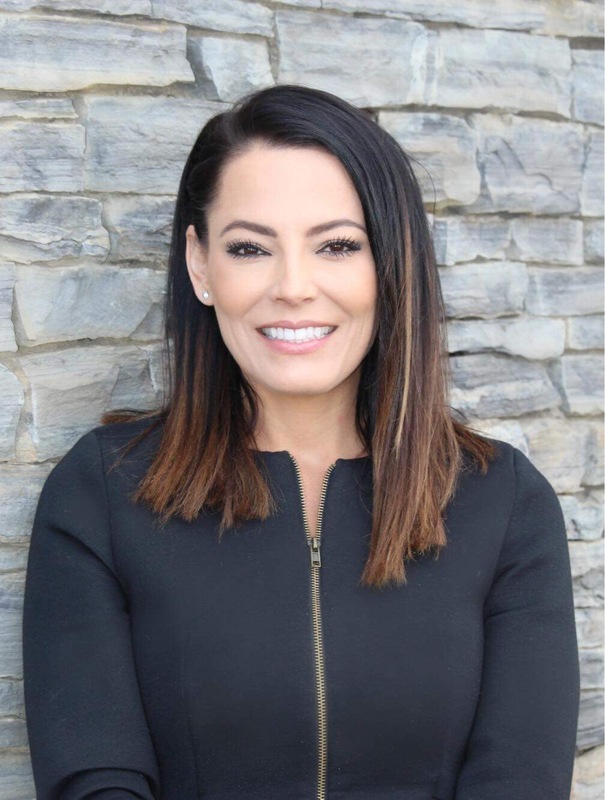 Along with antioxidants vitamins C and E, this formulation reduces the appearance of fine lines and wrinkles and firms the skin by stimulating collagen production and speeding cell turnover. Allantoin, niacinamide (vitamin B3) and sodium hyaluronate soothe and hydrate. Specially formulated for oily and blemish-prone skin. HydraDew Moisturizer is an intensely rich formula that moisturizes, nourishes and improves skin texture using soothing and moisturizing ingredients like sodium hyaluronate, shea butter, aloe and niacinamide (vitamin B3). Powerhouse peptides stimulate collagen and elastin, firming the skin and reducing the appearance of fine lines and wrinkles. Antioxidants protect and neutralize free radicals formed from the sun and pollution restoring a healthy radiant complexion. HydraLight Moisturizer is a light moisturizing formula that hydrates, nourishes and improves skin texture using soothing ingredients like sodium hyaluronate, aloe and niacinamide (vitamin B3). Powerhouse peptides stimulate collagen and elastin, firming the skin and reducing the appearance of fine lines and wrinkles. Antioxidants protect and neutralize free radicals from the sun and pollution restoring a healthy radiant complexion. HydraSmooth Moisturizer is an ultra-light, non-comedogenic hydrator specifically formulated to restore clarity to acne-prone skin. It uses a combination of antibacterial, anti-inflammatory and healing ingredients. The multifunctional hinokitiol is an antioxidant and anti-inflammatory with excellent action against P. acnes bacteria. Resveratrol and oligopeptide-10 are natural ingredients also effective in fighting P. acnes. Canadian Willowherb™, meadowsweet and aloe relieve redness and inflammation, while low levels of encapsulated salicylic acid deeply penetrate the pores to remove dead skin cells and prevent pimples before they start to form. An innovative encapsulated salicylic acid technology provides controlled delivery into the skin, which decreases its side effects and extends its effectiveness over time. Allantoin and vitamin E (tocopherol) maintain skin’s moisture balance and the hydrolipid barrier. HydraCalm Moisturizer is a rich and restorative hydrator packed with natural anti-inflammatory ingredients specifically formulated to calm and reduce the redness seen in sensitive and rosacea-prone skin. Sea whip and boswellia serrate extract have powerful anti-inflammatory properties, while aloe and honey soothe skin. 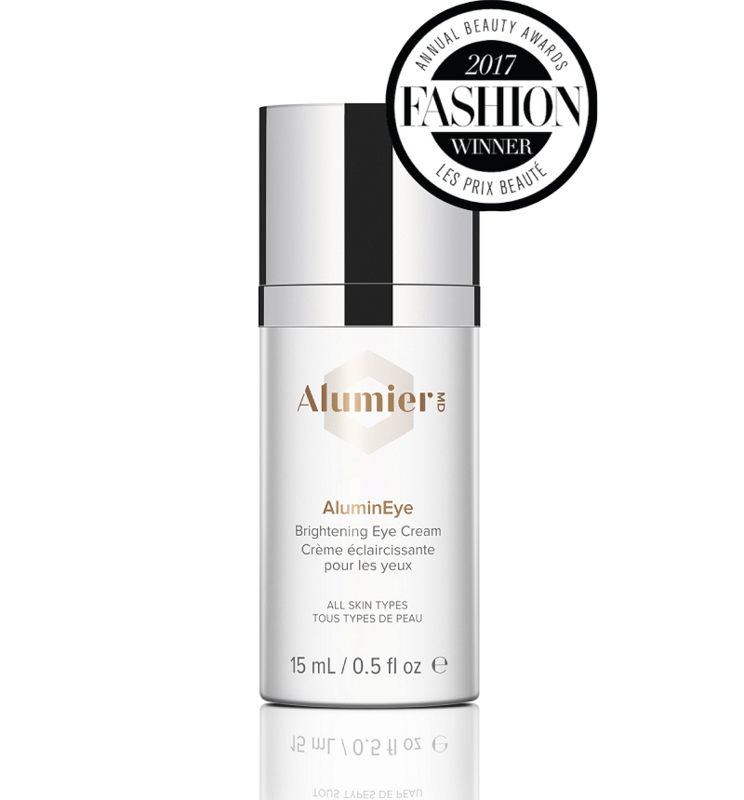 An innovative low molecular weight hyaluronic acid and niacinamide (vitamin B3) provide intense moisture to all layers of the skin. 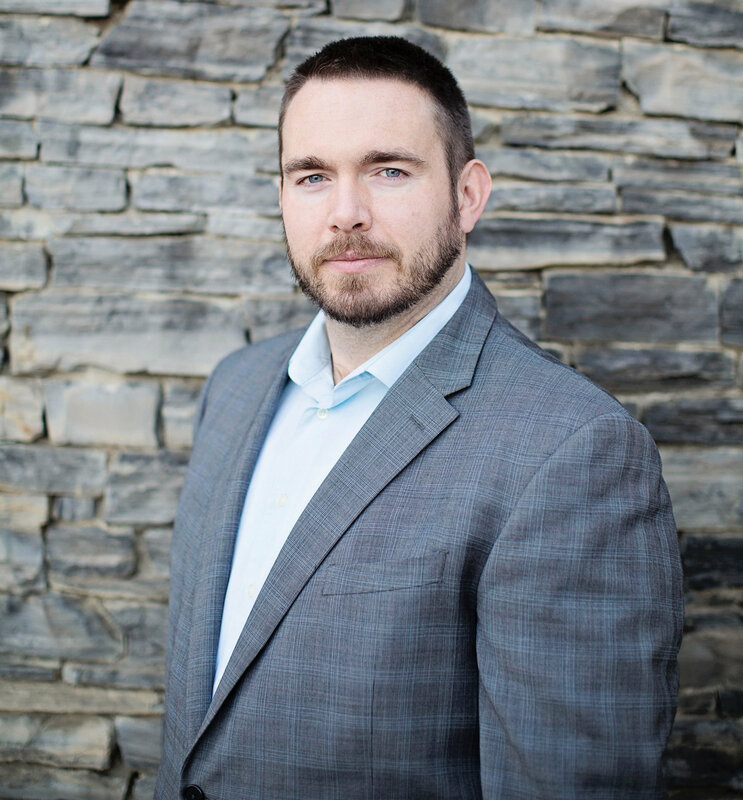 Copper peptide supports healing and collagen production. Antioxidants neutralize free radicals from UV rays, pollution and inflammation to limit the skin damage these elements can cause. Neck and Décolleté Firming Cream is a luxuriously smooth firming cream that helps to prevent and improve the appearance of fine lines and wrinkles, restoring a more youthful appearance. Lys’lastine™ and low levels of encapsulated retinol support collagen and elastin production, while licorice and kojic acid reduce the appearance of hyperpigmentation and even skin tone. Gentle flower acids exfoliate dead cells and promote skin renewal. 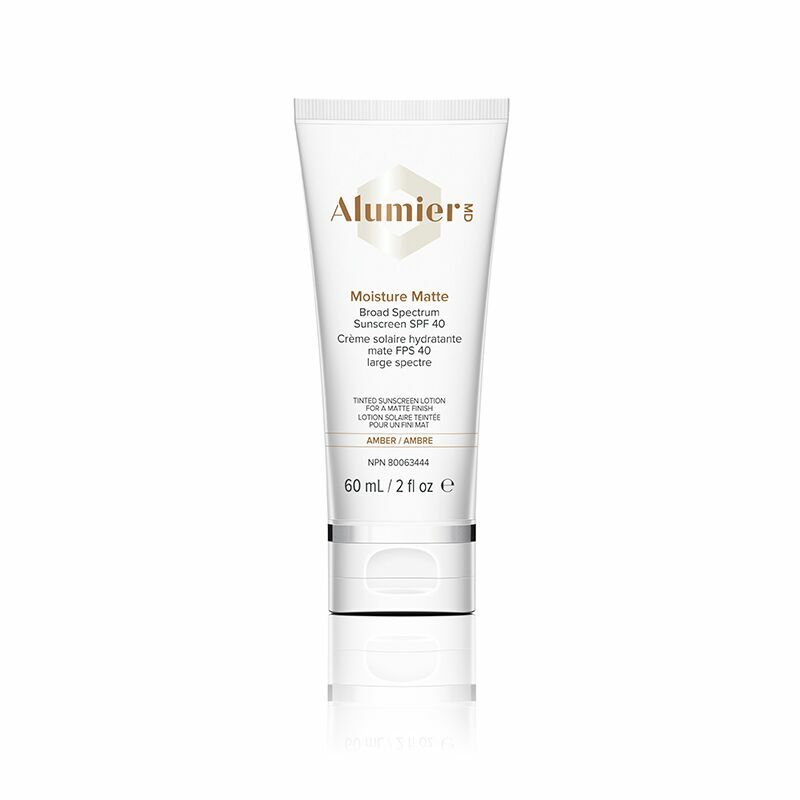 Moisture Matte Broad Spectrum SPF 40 Sunscreen provides powerful broad-spectrum protection against harmful UVA and UVB rays using a combination of zinc oxide and titanium dioxide. Antioxidants like caffeine, silybin and knotgrass extract protect skin from UV and IR-induced free radical damage. 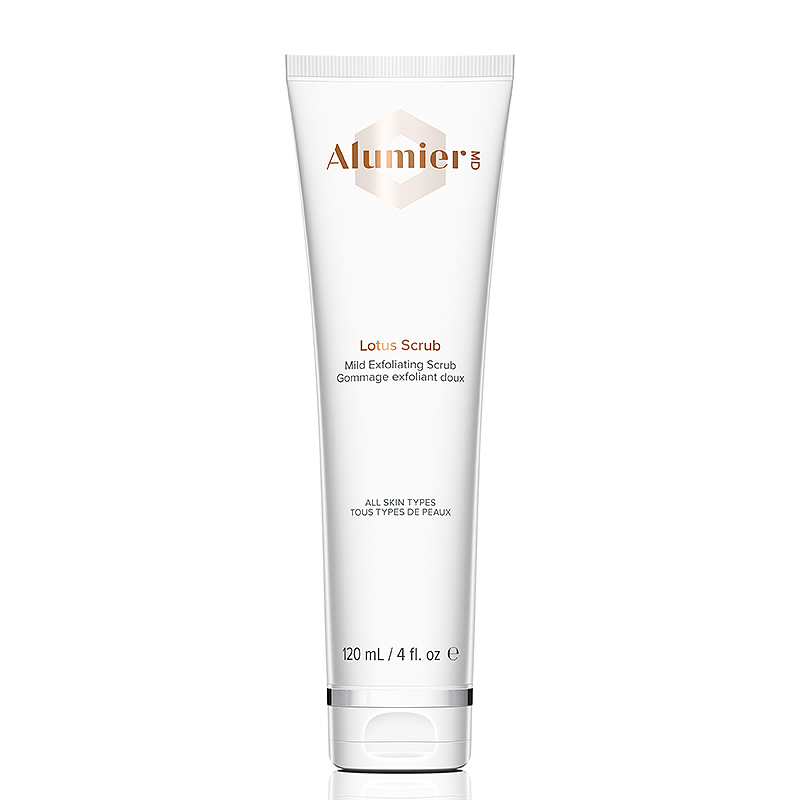 This formula lightly moisturizes to smooth and hydrate, while absorbing excess oil to create a matte finish. Cutting-edge, color-encapsulated beads blend on the skin, creating a sheer tint and healthy glow. Offered in ivory, sand and amber tints (because one shade doesn’t suit all skin tones). TIP: Save time and use this tinted sunscreen as your daily foundation. Offered in ivory, sand and amber tints. 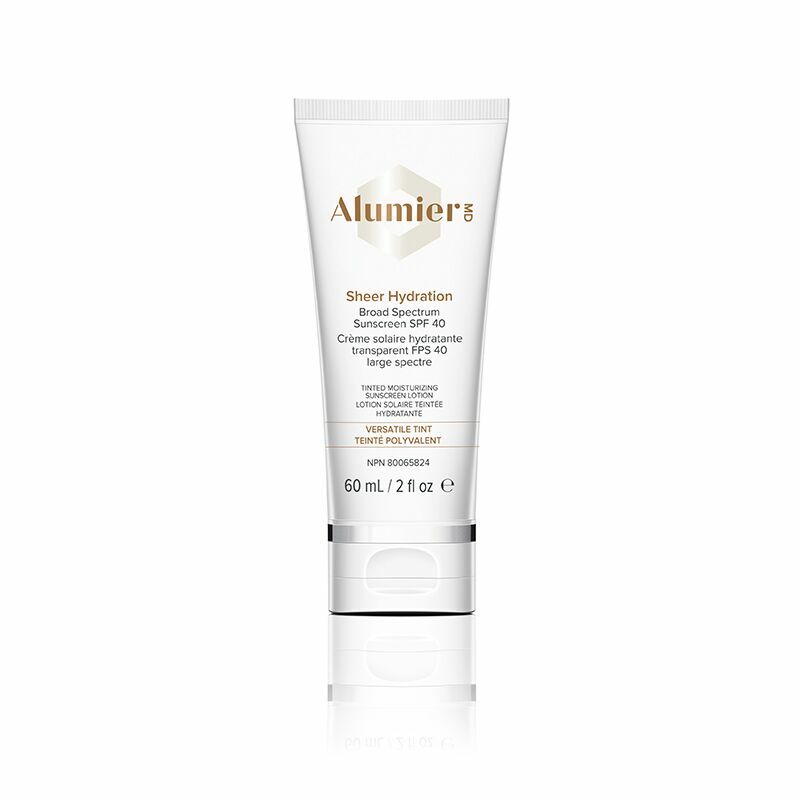 Sheer Hydration Broad Spectrum SPF 40 Sunscreen is a silky and sheer physical sunscreen that provides powerful broad spectrum protection against harmful UVA and UVB rays. It uses a combination of zinc oxide and titanium dioxide, while moisturizing with vitamin E. This formula is also packed with free-radical-quenching antioxidants, including a stable vitamin C, vitamin E, resveratrol, grape seed extract and glutathione, to protect skin from UV damage. Offered in both untinted and a versatile tint that blends beautifully on the skin creating a sheer healthy glow. TIP: Save time and use tinted sunscreen as your daily foundation. Smoothing and moisturizing formula with vitamin E.
Packed with free-radical-quenching antioxidants to protect skin from UV damage. Offered in both untinted and a versatile tint creating a sheer healthy glow.